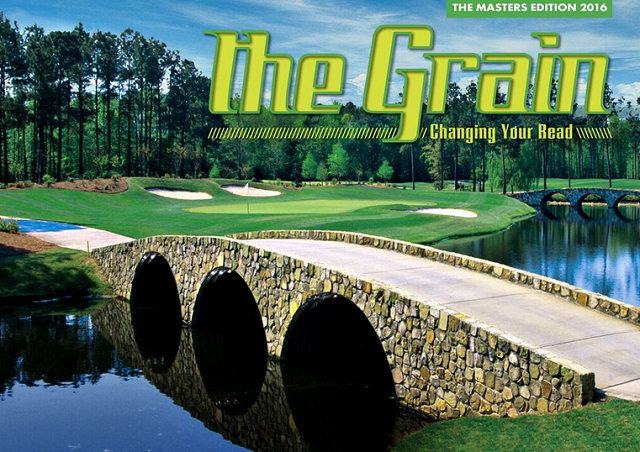 The 2016 Masters Edition of The Grain is up and running on an Interweb near you! This year’s edition includes “Ways of Winning at Augusta” by David Barrett, author of Making the Masters (just reissued in paperback), a piece on the best strategies for getting around the fabled course. Hal Phillips offers a more tongue-in-cheek approach, putting an Everyman golf fan on the couch to ponder our complicated psychological emotions regarding one Eldrick ‘Tiger’ Woods. While Terry Moore takes a close-up look at Jordan Spieth’s game, via an interview with the defending champion’s coach, Cameron McCormick. As the 2015 winner, it was up to Spieth to come up with this year’s Champions Dinner menu, and none-too-surprisingly he came up with Texas barbecue. As Tom Bedell points out in a piece that picks over barbecue or barbeque tidbits–“Smokin'”–there was a Masters precedent for this. 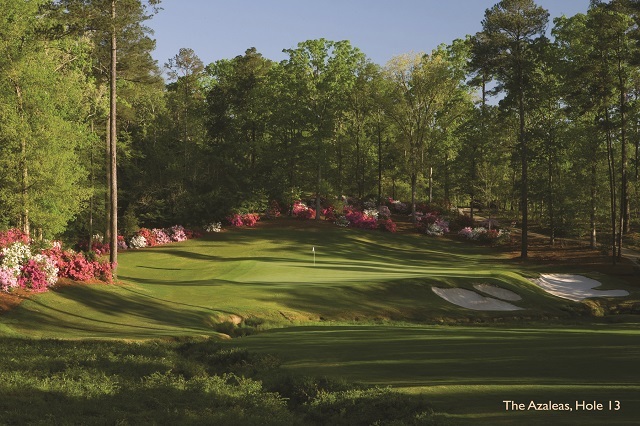 Most of us have a snowball’s chance in hell of ever playing the course, but in “Searching for Augusta” Derek Duncan has come up with alternative courses that at least give some flavor of what the exalted experience might be like. We have segments on hard goods, soft goods, and travel package goods, as well as another video lesson from Anne Cain, Master Instructor at the PGA Tour Golf Academy World Golf Village. This time Anne shows how to avoid the chunky bunker shot. So by delving into the 2016 Masters Editor of The Grain you’ll be well-tutored, shod and traveled, and ready for all the action at Augusta.